Your thoughts matter to me. Please share what you think of this blog. Hey Old Sport, first of all, I just want to say thank you for helping me out on The Millionaire’s Digest.I may not know you very well and you may not know me very well either, but what I do know is this: Me and You make a powerful team, and you’ve got that hard strong work ethic like I do that not many people have. Now I just want to tell you that I’ve upgraded your account, so now you can do so much more on it. I also hope you feel like you’re actually an official owner/administrator of The Millionaire’s Digest And basically what I just did is I’ve given you the power to do pretty much anything and everything that I do. The only thing you can’t do is delete the website, lol, but I trust you enough that you wouldn’t do that. Oh and speaking of deleting the website, I haven’t really told anyone this, but I’m not sure if I’m going to continue The Millionaire’s Digest. But I mean, I don’t know and not that it’s a bad thing or anything. I just don’t think it’s something for me anymore. So instead of deleting it, I think I’m going to turn it over to the first 10 people (which includes you) who listened to all my directions right straight from the beginning when I first started to allow people to join our team. But I don’t know. And lol, I’m not sick or high or anything. It’s just, I guess I’m not sure. Anyway, I just wanted to let you know that I’ve upgraded your account so you don’t freak out the next time you come to write or add an article to it. Thank you again Old Sport for helping me. P.S. – I’ll make an advertisement and put it up on the front page so when people click on it, it’ll send them straight directly from my website to yours. Just give me like 15 minutes! Yours is one of the best-designed Blog I have ever seen in my life. I am a perfectionist and wish to redesign my WordPress Blog like yours. Hey there Nina M., this is K&L and I have something I need to tell you that I haven’t really told anyone yet. (Except for the 5 most important people to me who are on my team.) I’ve been working on a private project and I’m getting ready to launch it for our website. It’s a magazine. Now my question to you is are you in or are you out? I mean if not, I completely understand which is okay! But if so, I’m going to need to know by midnight of August 21st. (2 more days). Also, you will be one of my 5 writers whom I have given the privilege to be on the front page. I’ll give you all the details as I have to write them all out for everyone, but the choice is yours Old Sport. Also, please email me your response as I may not get it here through WordPress. Thanks Old Sport! Hi Nina, I found your blog through Nikki’s A Kinder Way blog party. I look forward to reading more of your blog! 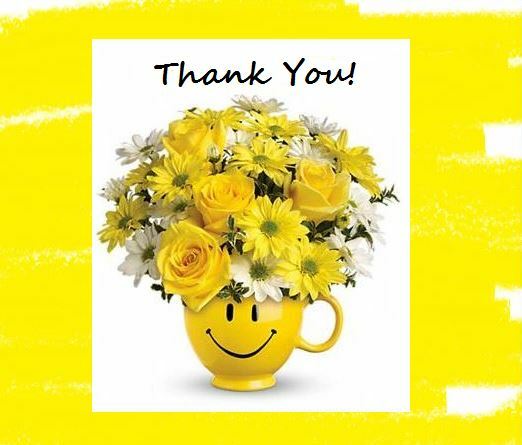 Could not find where to thank you for your kind visit to my site( several pages!) and your kind comment on Hugh’s pre-launch party. Good to meet on your sunny side of the blog street! Hi Nina! Your blog was very inspiring! I really love the way you write! Also, I am a novice and I would like you to check out my blog https://coalescentkairos.wordpress.com/ and share you thoughts! I would love to learn from you! Cheers! We enjoyed reading your about page and we are sooooo glad you are sharing with us the world through your eyes. Hi Nina! Your blog was great inspiring! I really love the way you write! Also, I am a novice and I would like you to check out my blog http://blogbyjai.wordpress.com/ and share you thoughts! I would love to learn from you! I just love this blog! It’s so positive and inspirational, and I believe it will light up many people’s worlds. Anyway, thanks for keeping up with me and putting up with my repeated posting. Pretty soon I’m going to stop, but not until the magazine is launched and becomes successful. Other than that, the main reason why I switched your account to a higher ranking position is because whenever I go to moderate the comments on other people’s posts, I always see you commenting and responding back to your readers. (And you’re always kind and respectful with the way you do it too, so good job for that!) Anyway, just keep doing your best every day and if you ever need anything, you’re always welcome to ask me! Have a nice rest of the day. Oh wow! Thanks! 🙂 I’ll try my best to always be at my best, then..LOL! Thank you for trusting me with the website. Your style is very unique in comparison to other individuals I’ve go through stuff by. Thank you this post for leaving a comment when you’ve got the chance, Guess Items just guide mark this website. I am loving your blog! It is making me so happy to go through everything!!! I am excited to keep reading through and for more!